Of all your kitchen utensils, what is your favorite? Would you believe that I seek the best wooden spoons for my kitchen needs? I love the wooden spoon’s versatility. It is my all around handy utensil for me. I make use of my wooden spoon for sautéing, stirring, mixing, and even for eating. Aside from being environmentally friendly, I like the tropical ambiance the wooden spoon gives in my kitchenette. It fits naturally amidst the modern atmosphere. However, I do not just buy any type of wooden spoon out there. I prefer the product of a high quality of wood that withstands the test of time. 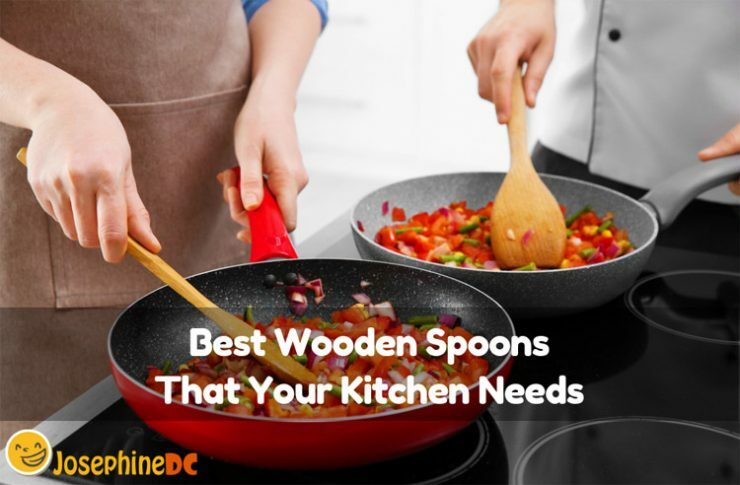 Let me share with you how I choose the right wooden spoon that suits your kitchen collection, and a list of the best wooden spoons I recommend. What are my reasons why I prefer wooden spoons? Can you use wooden spoons like metal utensils? Wooden spoons are necessary to have when cooking. Hence, I advise keeping one in the scullery that you can grab anytime. It is not just about the warm memories I have with wooden spoons, but the significant explanations why I need to use them. After knowing these, you might want to have a few in your kitchen as well. Wooden spoons are safe to use while cooking. Wood is non-reactive (does not leach) with acidic food than metal utensils. Comparing to plastic, it does not leach harmful chemicals. Wood is non-conductive. It does not get too hot when exposed to heat even during long cooking time. I recommend using wooden spoons to take care of your non-stick coated skillets. Wood is a soft material that will not scratch the surfaces. Using natural materials is friendly to the environment. Pick the type of wood that is the most eco-friendly. I have some spoons of quick-growing bamboo wood at home. Soft to handle and easy to clean: Since wood is a soft material, it is smooth and comfortable upon your grip. I do use my wooden spoons like any other metal utensils. In fact, I prefer to use it than the other. All my current wooden spoons are reliable and durable even after several cooking. Take note that with wooden spoons, the type of wood and the shape or design matters. The main function of a wooden spin is for stirring. I pick the kind that is wide enough to be efficient to stir the food while cooking for a lesser effort. If you found one, consider choosing the spoon with a long, sturdy handle that feels comfortable in your hand. Wooden spoons are best when used for scraping. Because it does not imply a risk of damaging the surface of your coated pan, you can scrape the food off without any worry. I use my wooden spoons for tasting when cooking. Hence, I make sure that the size is wide but small enough to fit the end of my mouth. You may have a different preference when it comes to wooden spoons, but the significant factors that you need to look for when buying one are common. See below considerations when the best wooden spoons are in your mind. Do you know that Pine is the most economical wood you can find for a wooden spoon? However, although they work fine, you cannot expect it to last for long. It may also bother you when you notice the piney taste that it imparts to your food during the first few days of use. Pines is good for me if there is no other choice, but if you have the chance, opt for other kinds like beech, maple, bamboo, or olive wood. You may observe that almost all wooden spoons are shallow, but still suffice in holding a bit of food for you to taste. Other designs are deeper if you want one that can hold more serving. Nevertheless, if your primary purpose in acquiring a wooden spoon is to scrape bits of food from the bottom of your skillet, I suggest picking the type with a sharp angle and straight edges. You are free to select what you think is new and convenient. Conventional styles prove to be useful, but sometimes, you can find worthy products among the new arrivals. Keep an eye on slotted spoons, dippers, spatulas, and other variety of wooden spoons. I have one at home that I use all around in cooking and is durable enough to last long. An ideal wooden spoon should be made of pure wood that is hard enough to withstand the stirring, scraping, and tasting without showing any signs of breaking or chipping. I cannot tolerate utensils that break when in contact with food. You do not know how hard it is to look tiny bits from what I am cooking, or worse, throw away the food. Plenty of wooden spoon designs out there has other materials with your wooden spoon. See those products that feature silicone handles for a more softer and comfortable grip. You might even observe that marble handles are available too. It does not enhance the spoons efficiency to work since, for me, wood is soft enough for my hand. However, if you find the colorful designs fancy, it is a matter of own preference really. After all, wooden spoons are a dramatic display no matter what style your kitchen is. OXO chooses solid Beech wood for their wooden spoon collection. This product would surely withstand the entire scraping job you need to do with those stubborn sticky bits at the bottom of your pan. No need to worry too, even though Beechwood is hard to be durable; it is soft enough to keep the non-stick coating safe. 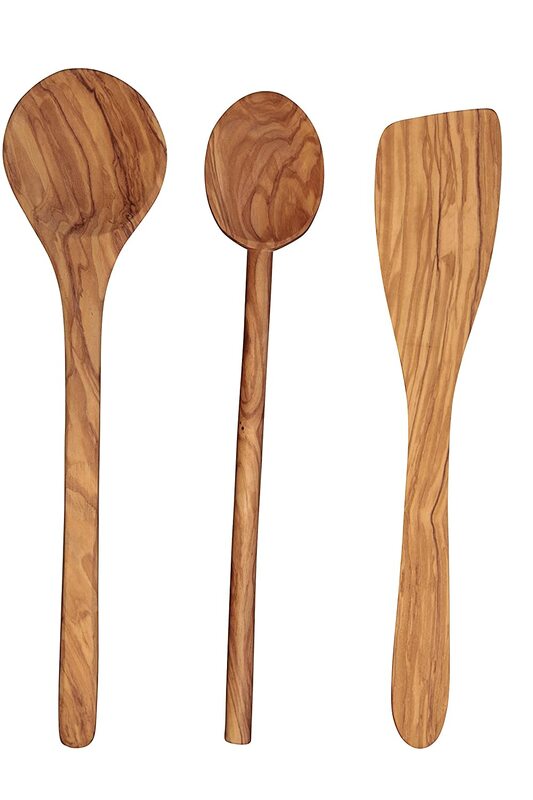 With a natural oil finish that coats and protects the wood, this set of three (large, medium, small) wooden spoons includes one of each size and guarantee on having comfortable handles for excellent grip and versatility. Touch the deep spoon heads; they mean to scoop substantial servings of sauce and food. The straight-sided shape is so unique that lets you reach every corner of your cookware. OXO wooden spoons are of solid one-piece beech construction and are suitable for handwashing only. You can use as serving spoon for casseroles. The handle is not slippery, and it is good for seniors. Need constant oiling and sanding to avoid being rough. Neet has come up with a strategic design with this handcrafted 100% natural organic bamboo wooden spoons. Bamboo is one of the lightest, most reliable and fastest growing trees there is, and when utensils are made of this material, it lasts longer than other natural wooden products. Neet wooden spoons are particularly sustainable, eco-friendly, and biodegradable. The complete set includes one spoon, spork, flat spatula, slotted spoon, slotted spatula, and utensil organizer. Aside from bamboos being chemical free, do you know that it has a unique antibacterial property? 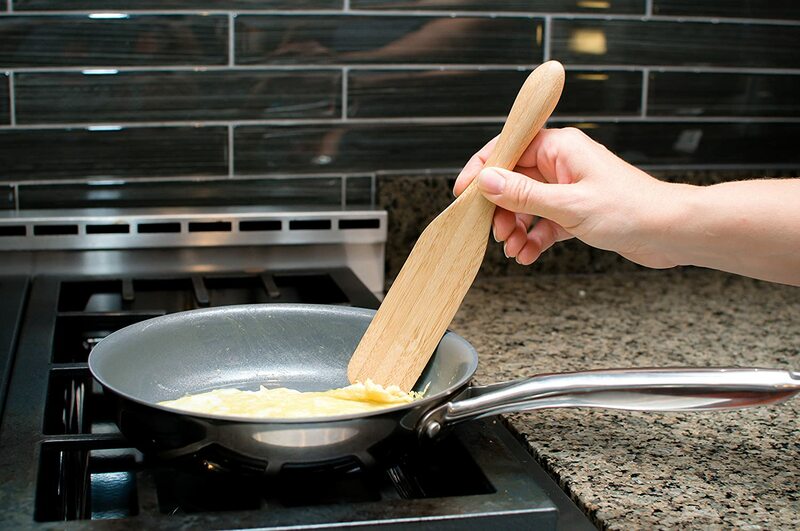 The wooden spoons are gentle to your expensive and delicate cookware, keeping it safe and scratch-free. Use these utensils for sautéing, flipping, mixing, baking, and serving your recipes as well. You will not have any problem even when you expose it to high heat while cooking. In addition, NEET offers a 100% lifetime guarantee. What are you waiting for? Wood needs constant conditioning with oil. 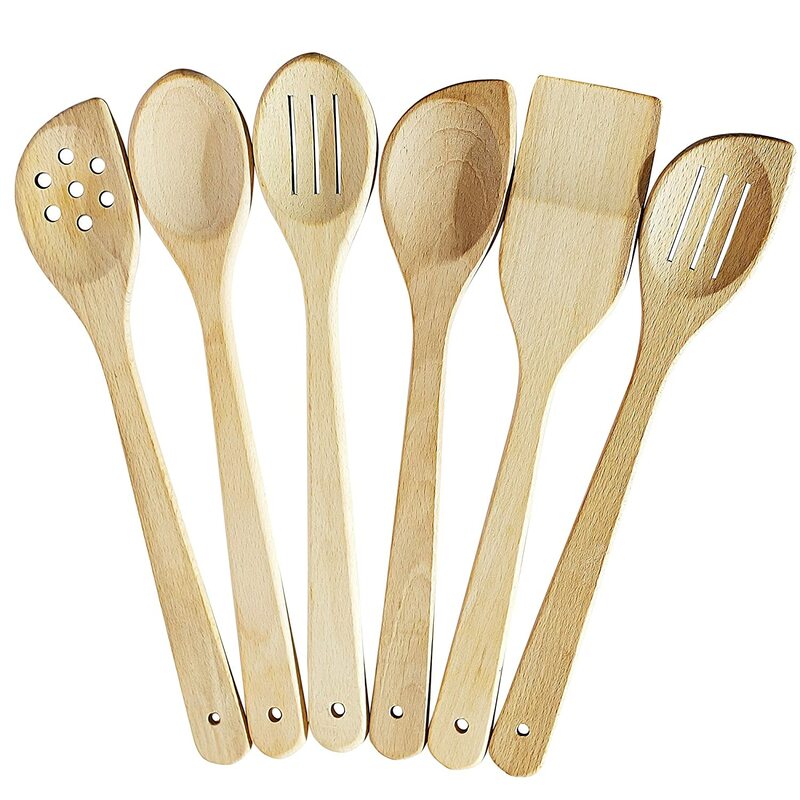 This 5-piece wooden utensils set of Vremi are eco-friendly and is safe to use with any kind of cookware. The set consists of a spatula, turner spoon, mixing spoon, forked spoon, and a slotted spoon. This durable wooden spoon is likewise made of bamboo wood. The product features a colorful ergonomic handle (decorative colored silicone rubber) that makes handling comfortable. Vremi also claims that the wooden spoons are non-toxic BPA free premium wooden cooking utensils. The heavy-duty cooking and serving wooden utensils does not absorb moisture. It is a guarantee that it will not shrink with constant exposure to water. Besides, it does not absorb food odors and stains, and totally no food cross-contamination as well. 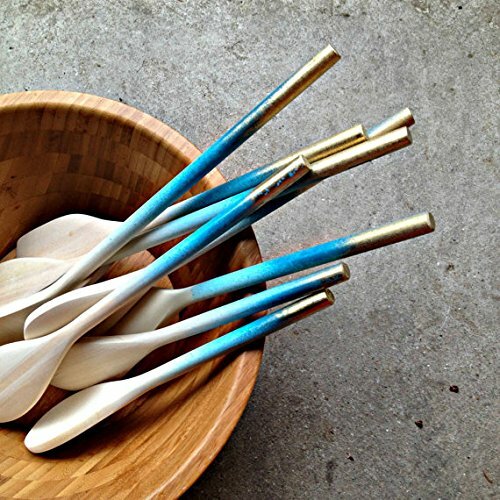 These smooth wood finish spoons are nonstick and highly resistant to stains and wilting. If you have non-stick or stainless steel cookware, these food grade wooden spoons is a great match. The set cleans and stores easily, but is better washing by hand rather than using a dishwasher. Each spoon from Roundsquare is of pure natural wood. All wooden spoons have a nice finish after careful polishing at production. Notice the smooth edges and sanded surfaces that ensure it is of high-quality product and suits any kitchen perfectly. If ever it is too fancy for you to use, it will serve as a classic decoration in your kitchen and an excellent gift for family and friends. Schima is a superb, durable, and lightweight to use. Hence, the wooden spoons are a guarantee to last long even when used daily. 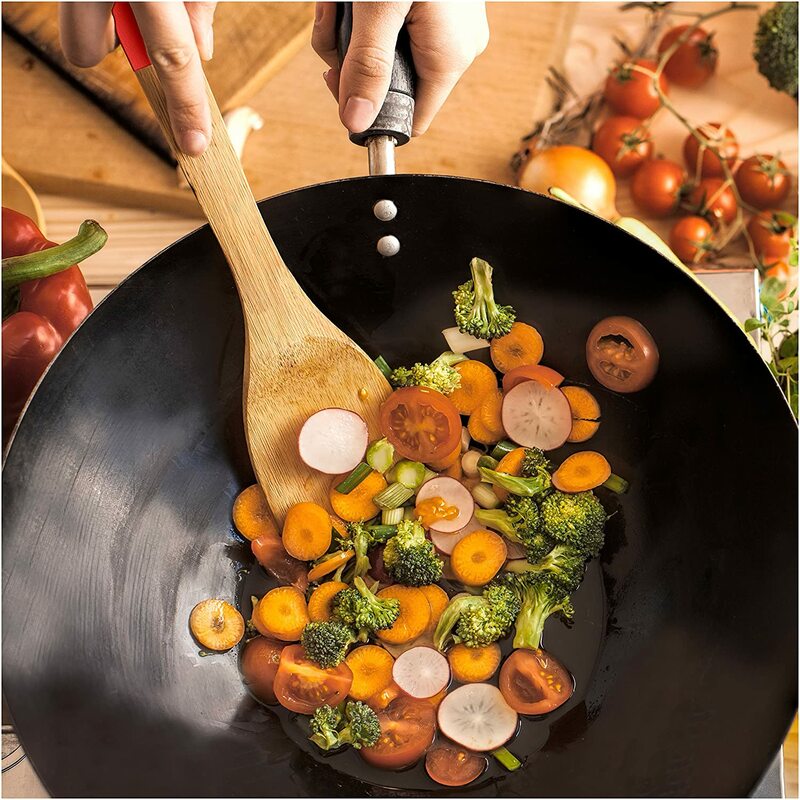 Since it is non-abrasive, the soft rounded shape of the wooden spoon is safe to use for your expensive and delicate non-stick pans, leaving a scratch free and intact. The product may be soft, but the edges are firm enough to scrape any bits of food from the bottom of your cookware. 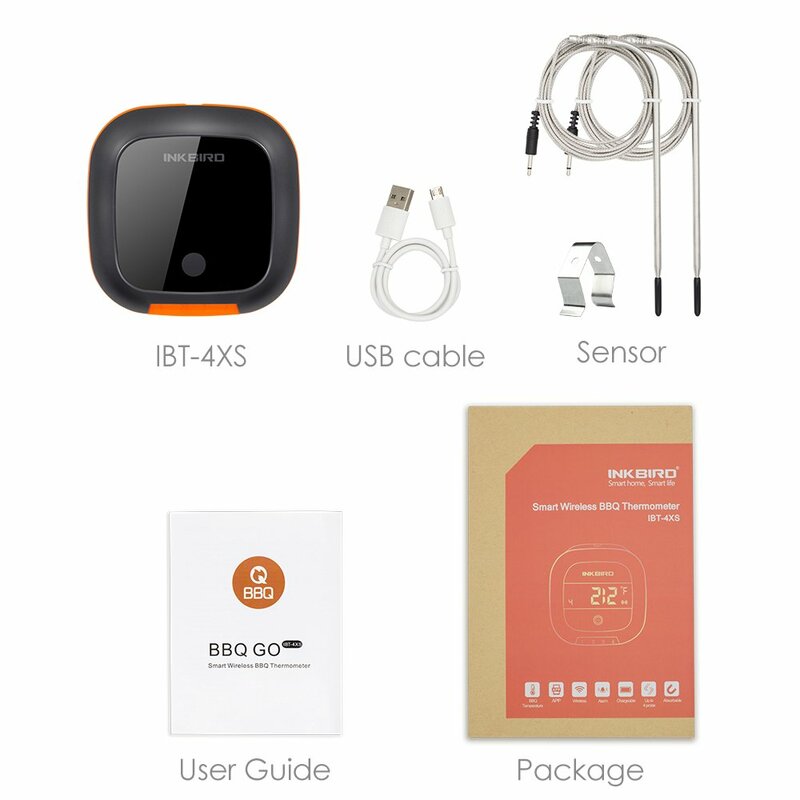 Wood is non-conductive, no need to worry about burns making it convenient and secure to use even with your little ones. Therefore, go ahead use it with a bowl of hot soup and the handle will stay cool to your touch. 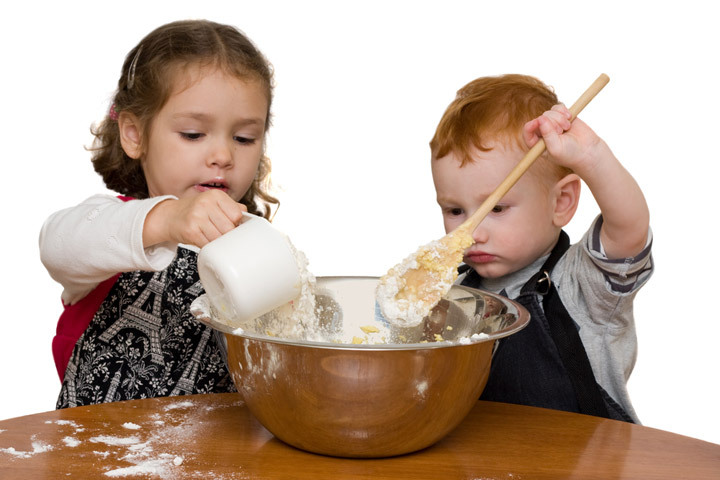 It also features a long handle for mixing, stirring, cooking, sautéing, serving, and taste testing. The purpose is also to keep you far enough not to burn yourself from the heat and to reach deep pots when cooking. Amidst the Scandinavian charm, these Scanwood Olive Wood utensils display an array of wooden spoons that are a handcraft made of the world’s best Italian Olive wood. See the beautiful, natural pattern that brings warm colors and the allure of nature straight right to your homes. Each wooden spoon is of durable hardwood that is safe to use with your delicate skillets and pots. It is gentle and soft enough not to scratch the surface of your cookware’s coated surfaces. This eco-friendly product is ideal for scraping, stirring, tasting, and presentable enough for serving. Scanwood wooden spoons prove to be solid and durable. 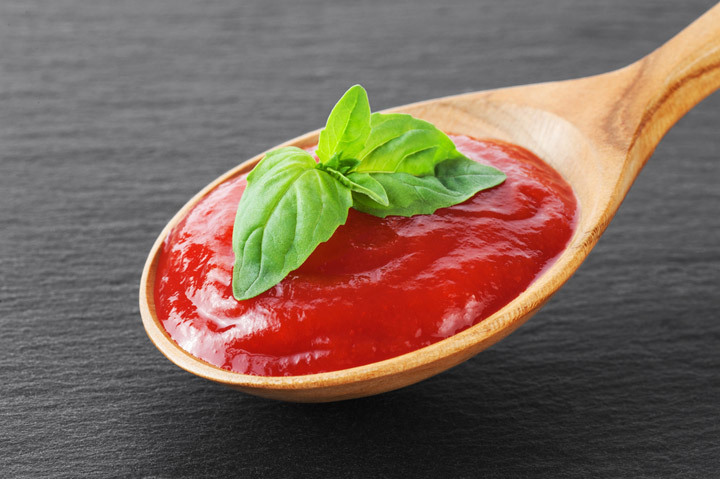 Do not forget to wipe or rub each spoon with olive oil or any high-grade mineral oi to maintain its brand new look. 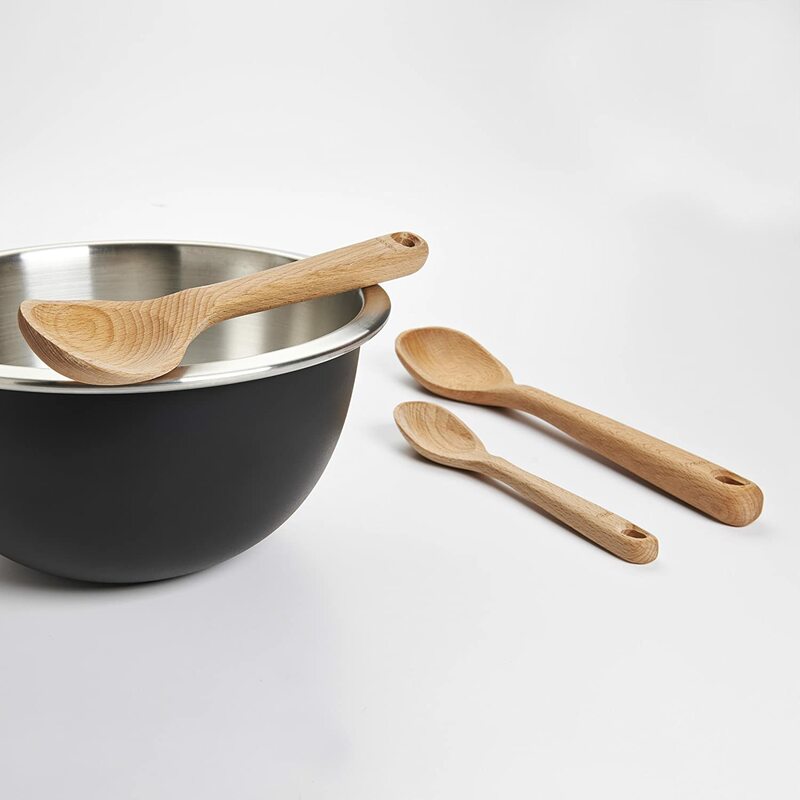 ECOSALL is proud to introduce their healthy wooden spoons that you can use for cooking. The offer is a 6-pc/set package, all made of natural nonstick hardwood that is uncoated and unglued. 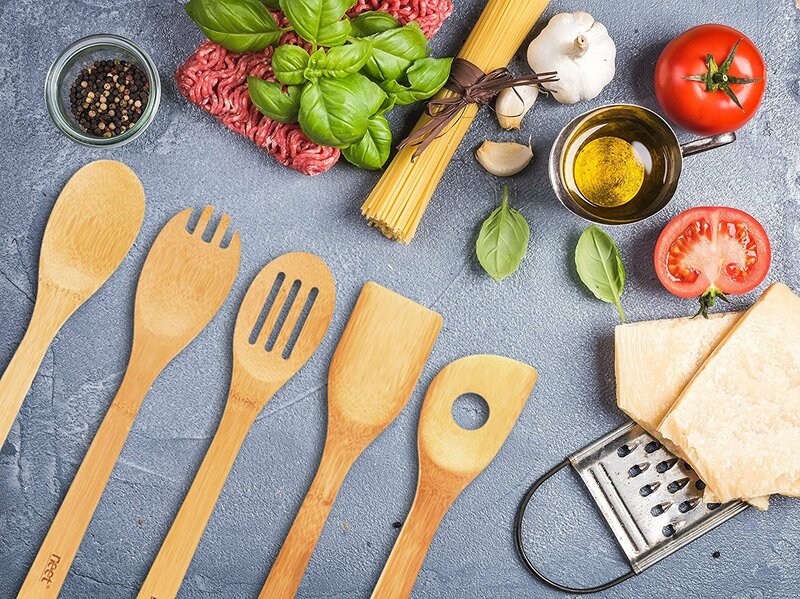 These durable, eco-friendly and safe kitchen utensils are of high-quality cooking tools. Each piece comes slotted for hanging convenience. These professional white wooden utensils have handles that are easy to the grip, long, flat, and heat resistant. Guaranteed to be of pure natural hardwood, it features a thick and long handle, perfectly sanded, smooth, lightweight, and durable product. Try to use it at home and discover that it will not easily break like other kinds. Besides, like any other wooden spoons, it is non-conductive and never melts. The whole utensil set includes mixing spoons, flat, angles, and slotted spatula with a thin tip that works well for serving, flipping, frying, and outdoor use. Safe for all cookware, these beechwood spoons are easy to clean even through hand wash. If you are into art like wood burning and decorative painting, the spoons are best for it too. Then, it is excellent for gifts, prizes, and giveaways as well. Do you know what a Spurtle is? It is not a spoon nor a spatula, but a utensil that is slightly both. Crate Collective offers a wooden set that consists one 9” long and one 13” long spurtles. I say that for someone that loves to cook, the spurtles is a must-have in your kitchen. The product is not only sturdy and lightweight but very convenient as well. 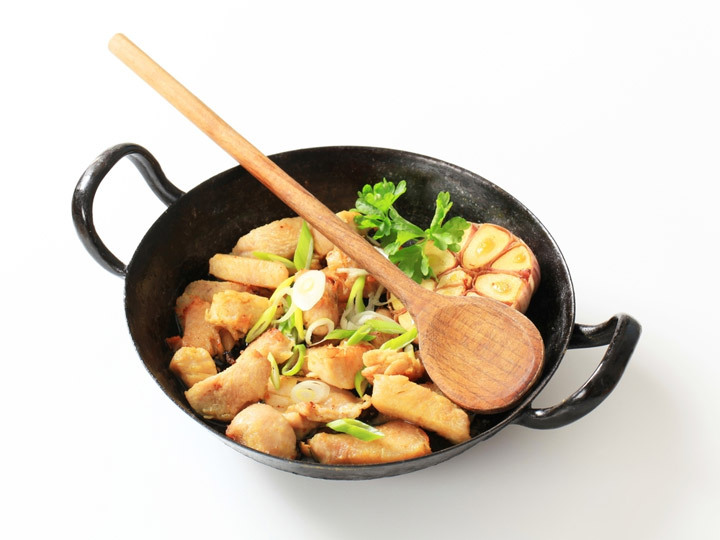 As bamboo is naturally antimicrobial, the wooden spurtles are excellent for cooking, stirring, or scraping the bottom of pots. Since it is soft to use with your delicate skillets and pot, it is a scratch-free use. Originally, spurtles are for stirring oatmeal and scooping porridge in Scotland. Now that it is in our hands, I am sure it can do more than that. The Bamboo wood spurtles have an elongated design and are easy to clean. The elongated design makes the spurtles versatile. For me, wooden spoons are as useful and convenient like metals ones. In fact, I like the way it is safe and non- conductive to heat. The two qualities are significant when you love to cook. Preventing my hands from burns and taking good care for my delicate pots and skillets are my priority. The versatility of the utensil only comes next. However, the wooden spoons offer more than that. Aside from its versatility in the kitchen, it can be an object of your artistry and perfect for gifts and prizes as well. Each of the wooden spoons I have mentioned is worthy of praise and has qualities that you would want in your kitchen. Tell me, have you made your pick?